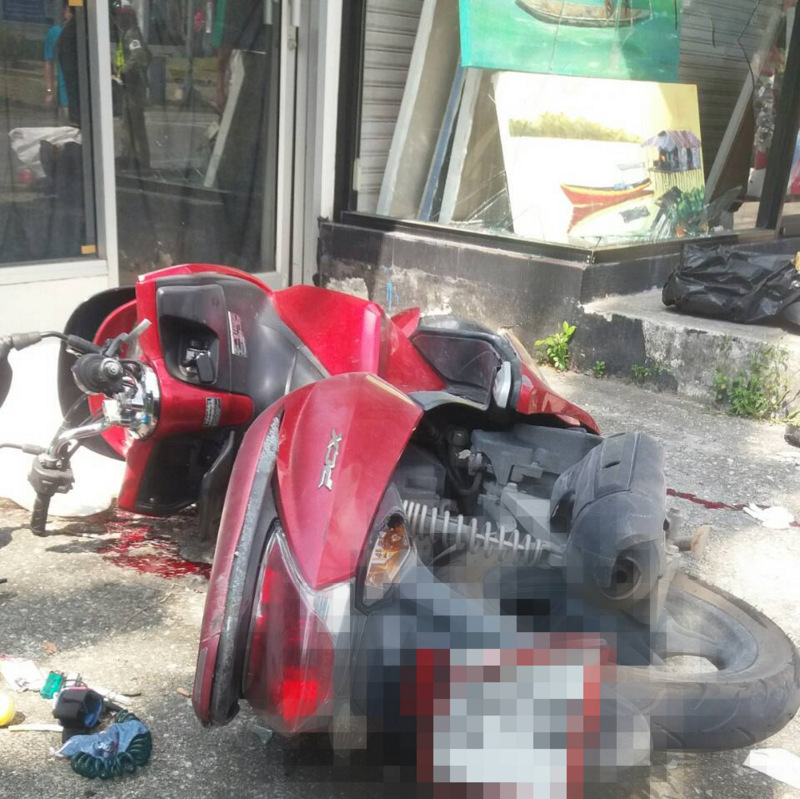 PHUKET: A 19-year-old lifeguard from Kamala Beach died this afternoon (Jan 15) after he lost control of the motorbike he was riding and slid into a large pane of glass. Cherng Talay Police were called to the scene of the accident, near Bang Tao Temple, at 1:20pm. 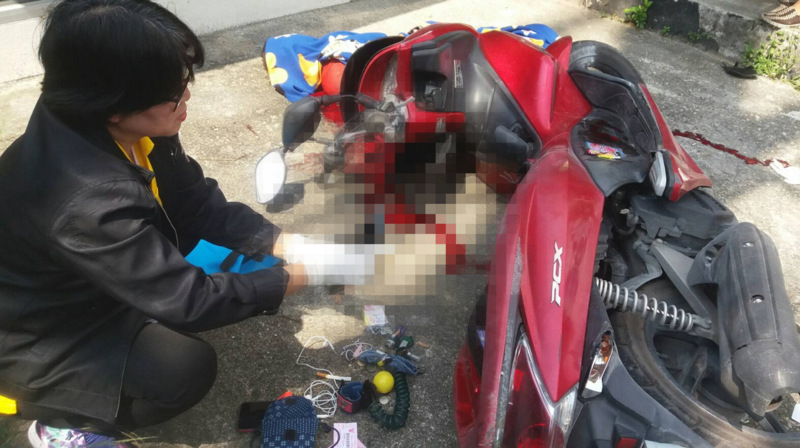 The officers arrived to find a red Honda PCX on the ground. Alongside it was the body was of Veerasak Kawiset, who works as a lifeguard at Kamala Beach. 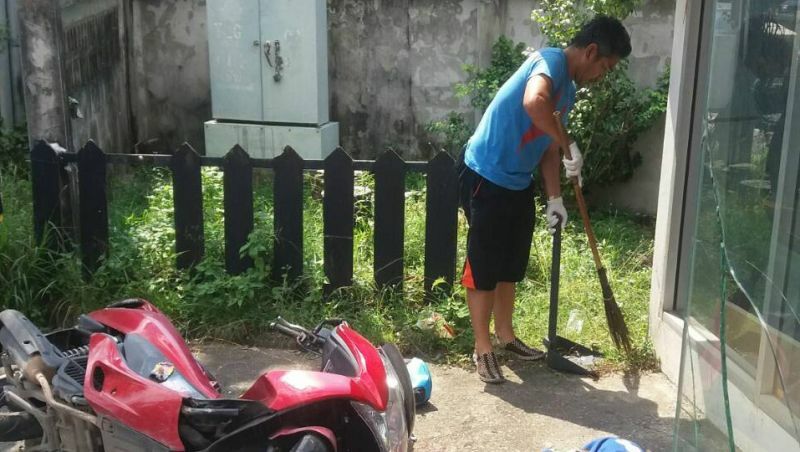 Capt Yannaphat Malai of the Kamala Police told The Phuket News that his investigation had led him to believe that Mr Veerasak was driving 'at speed' and lost control of the scooter at the curve at the front of the temple. The bike slid along the ground and into the large sheet of glass that was part of the decorative design outside a salon. Mr Veerasak had suffered many deep cuts to the face and body from large shards of broken glass, Capt Yannaphat noted. Mr Veerasak’s body was taken to Thalang Hospital. Later this afternoon, Capt Yannaphat said he was unavailable to provide more information as he was attending to the case at the hospital.